This is one of my favourite stories of 2014. Even better than Honda launching a car in Japan (today) called 'Slash'. For reasons unknown, Karl Lagerfeld took some photos of his cat in a studio, along with a Corsa. Why? Now we know - so as to sell a calendar! The first press release was unintentionally amusing enough but here's the latest one, which provides some more laughs. If ever the cultural divide between Opel and Vauxhall PR machines needed explaining, here is the perfect example. 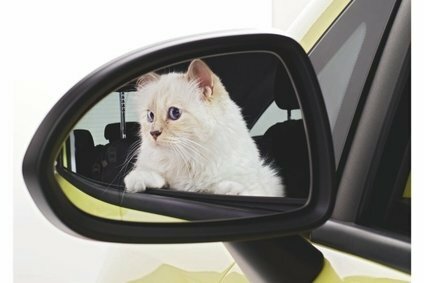 “Choupette is a beautiful animal and did an excellent job,” said Tina Müller Chief Marketing Officer of the Opel Group, who was present for the shooting.